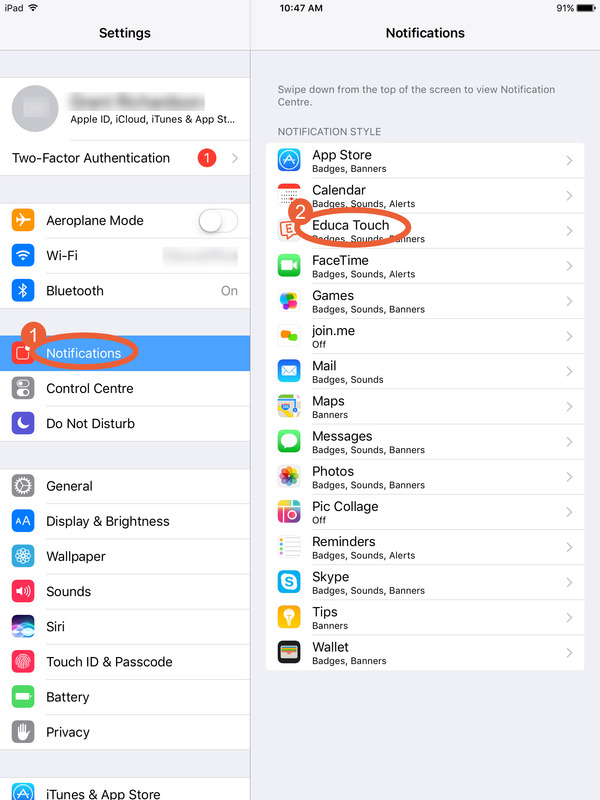 When using the Educa Touch app for your iPad or iPhone, you can set up push notifications. Push notifications are app alerts that will pop up on your screen to let you know when there is a new post in Educa.  In this article we will show you how to turn your push notifications on for Educa Touch. First you'll need to open your device's settings menu. Find and click on the "Settings" icon as shown below. This will take you to the settings on your device. 1: From the left-hand list, find and click "Notifications" as shown below. 2: This will open your Notifications list (shown on the right-hand list). Find and click on "Educa Touch" from this list, circled below. This will take you to the notification settings specific to the Educa Touch app, as shown in the screenshot below. 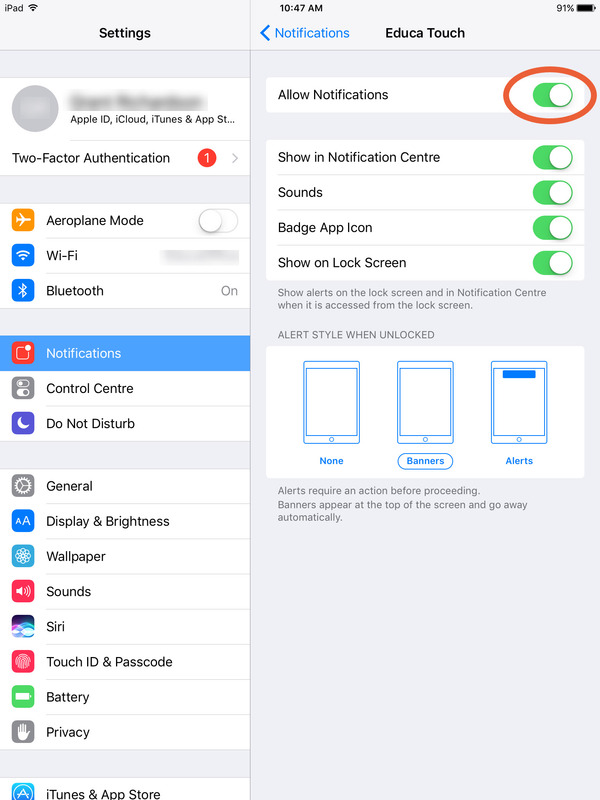 Here you can enable push notifications. 3: Turn on "Allow Notifications" found on the top right hand side of this menu. If the 'switch' (circled below) is green then it means the setting is turned on. Tap the button to switch it off/on again. We recommend copying the settings in the screenshot below to start with. Once this feature is enabled you will be able to receive notifications on your mobile device, just like you would when receiving a text message.